From the Museum of French America to the Place Royale and Notre-Dame-des-Victoires Church, this traveler’s companion details the often hidden, historic gems of Quebec city. Arranged into seven walking tours, this guidebook profiles essential tourist sites and provides the opportunity to discover a new side of the nearly 400-year-old city. 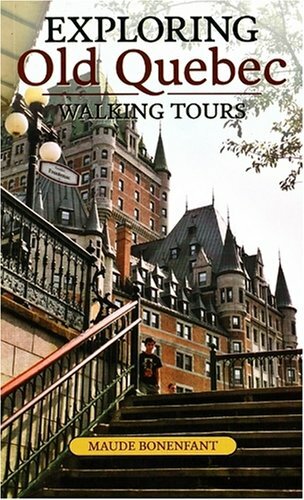 Four thematic itineraries, which include religious heritage, the Anglophone influence in Quebec, arts and literature, and the presence of the First Nations, are also included. Maude Bonenfant is a PhD student in semiology at the University of Quebec–Montreal. She lives in Montreal, Quebec.